As winter passes by, healthy eating is becoming more important for people who wish to stay fit. The cold season brings in some added temptation to eat more since people tend to spend more time inside the house. It sometimes becomes the main activity to do at home in the cold weather. Every season that comes offer different types of food to eat. Some may be categorized as healthy food while some are not. Some may even mistake foods being healthy when they are actually not. And since the winter season is coming, here are so-called healthy foods that you are better off avoiding. While porridge may be considered as a healthy meal to have for breakfast, there are some varieties that may not be as healthy. the instant porridge that people only need to microwave to prepare may have too much sweeteners in it. According to some research, instant porridge can have as much as three teaspoons of sugar per serving, quite a lot for a health-conscious person to eat at a single meal. the best alternative is to make your porridge the old-fashioned way with oats and milk. Avoid the sugar by substituting with natural alternatives like honey and maple syrup. Some may consider turkey as a main staple for the winter. Some may think that getting the fat-free turkey option at the supermarket may be the healthier choice. But most brands available are usually high in sodium to keep them fresh longer. Some brands may even have 1/3 of the recommended daily allowance for sodium. It may not always be the healthier choice. And since you still need the protein, try to buy organic turkey instead to avoid added sodium content. Having a hot bowl of creamy soup during the cold season can be quite comforting. It can somehow help drive the blues away. But if you are also watching out for your health, try to stay away from the chowders and bisques. Most creamy soups are high in salt and fat. Consider having some hot broth-based soups instead such as noodle soup or minestrone to help you get rid of the blues during winter. 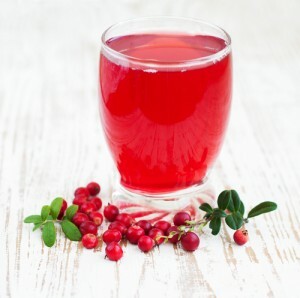 Natural cranberry juice is healthy and nutritious. It contains a lot of antioxidants and functions as an internal cleanser. But what most people may get at the supermarket may be the processed kind. Since natural cranberry juice may have a naturally sharp taste, many manufacturers try to mask this up by adding more sugar or artificial sweeteners. What you get is a cranberry juice with sugar content similar to that of a similarly sized cola drink. A better option is getting a natural cranberry juice concentrate where you need to add water to come up with an ideal taste. With winter meaning spending more time indoors, some people may have to store up some healthy snacks to while away the time. Some opt for microwave popcorn since it is said to be a healthy snack option. The problem lies with what these products contain that makes them unhealthy. Most microwave popcorns come with artificial sweeteners such as pentadedione. Studies suggest that this sweetener may be a cause of respiratory problems. For added convenience and appeal, some microwave popcorns are also high in sodium, which do not really make them a healthy snack option.